At its core, WWE 2K17 is a fighting game. When discussing the fighting game genre, WWE 2K isn’t the first series to come to mind for most people. Street Fighter, Mortal Kombat, Marvel vs. Capcom, Tekken, and others are at the forefront. You can draw many differences between these and 2K, but the one we are going to focus on today is ratings. What do we make of a fighting game that uses player ratings? Die-hard Mortal Kombat fans no doubt have their favorite fighter. Some might choose Scorpion while others are fans of Liu Kang, but these preferences are based more on what moves, combos and fatalities each fighter has. Wrestling games used to operate the same way. Wrestlers were not given overall ratings, so character selection was based more on what you were feeling at the time. So if you wanted to take on The Undertaker with Spike Dudley, you didn’t feel at a huge disadvantage. But this has changed in recent years. Even though you could (as I did) argue that WWE 2K is more of a fighting game, it’s typically lumped in with the other sports games, almost all of which focus heavily on ratings. NBA 2K and Madden, for example, promote ratings updates when they are released to users. 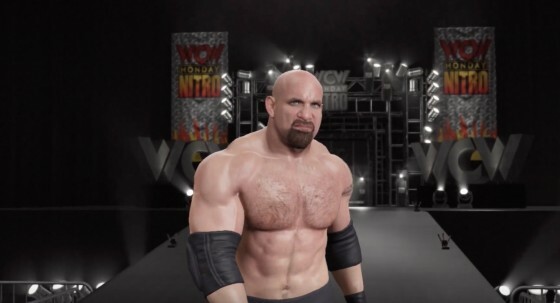 It should then come as no surprise that WWE 2K has followed this trend. And although they are not yet at the advanced stage of weekly roster updates, ratings have played a part for the past few years. So you can play as Simon Gotch, if you wish, just don’t expect to have the same luck against John Cena that you might have against Konnor from the Ascension. As a huge fan of the NBA 2K series, one of my favorite things to monitor in the weeks prior to launch is the slow release of ratings info. It’s fun look at player ratings as we each make independent judgments about their accuracy. So what if we took that same approach to WWE 2K17, with the obvious caveat that not everyone will value each wrestler the same? For example, I think John Cena at 93 makes a lot of sense relative to what the rest of the roster is rated. But as wrestling fans well know, there are plenty of Cena haters out there, and some of them might rate Cena in the low 80s out of spite — or even worse, depending on the level of hate. But, again, the question is not only if Cena’s rating is accurate, but whether he’s properly ranked among the rest of the main roster. Considering that only Brock Lesnar (95) is rated higher, while two others (Seth Rollins and the Undertaker) are rated the same, I’d argue that, yes, Cena is properly rated. 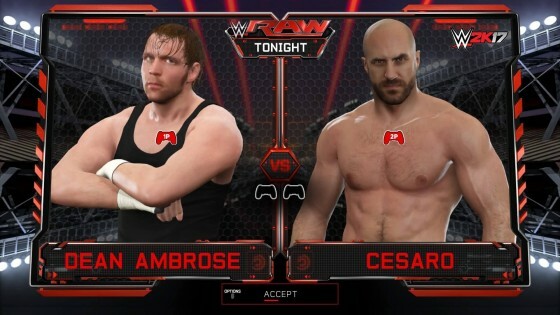 Cesaro (88). He happens to be one of my personal favorites to watch today. I would argue he’s one of the best in the ring in WWE today. His mic work isn’t the strongest, but it’s above average at worst. If I were drawing up the ratings based on my personal biases alone, he would most likely make the top five. That said, the way he’s presented on Raw has varied greatly over the past few years — perhaps greater than any superstar, other than maybe Dolph Ziggler. He’s gone from world title matches all the way to dark matches, and everything in between. His rating here clearly reflects a time when he was more towards the top of the card, as opposed to floundering in an odd pairing with Sheamus that, to be fair, has kept me entertained far longer than I thought it would. But consider who he’s either tied with or rated higher than: Finn Balor, Randy Orton, Kevin Owens and Bray Wyatt. Now, again, do I think he’s on that level? Without question. But based on current WWE programming, that’s a touch too high for the King of Swing. Braun Strowman (78). Continuing my point from Cesaro, you could argue that these two guys’ ratings should be flipped based on the march up to WrestleMania. Cesaro will be lucky to get on the pre-show, while Strowman has rubbed elbows with the top of the card for the past few months. Again, consider all of the wrestlers either tied with or rated better than Braun: Hideo Itami (NXT), Neville (205 Live), and Apollo Crews (only recently starting to get camera time). All three of those guys are phenomenal workers capable of five-star matches, but they don’t have nearly the same clout as Strowman. Dolph Ziggler (85). Is there anyone going in WWE today that is more difficult to rate than Dolph Ziggler? Similar to Cesaro in terms of being relegated to dark matches, he’s also been on the other side of the spectrum with a world title win. Given his up and down nature on WWE programming, 85 feels just about right for him, tied with Big E and The Miz. And there’s a legitimate argument for everyone who is rated higher than he is. For the rest of the main roster, for the most part, the ratings make sense. People you’d expect to see at the bottom (Bo Dallas and Curtis Axel) are at the bottom, and people you’d expect to see at the top (Dean Ambrose and AJ Styles) are at the top. You can argue a few points here and there to get the rankings to reflect how you currently see the WWE product, but kudos to WWE 2K17 for their accuracy in this key area. The Legends on the roster are a whole different story. The debate about ratings for these guys is even more complicated. Some wrestlers have a few different versions, while most have just one. So we have Undertaker in 1991 (91) vs. JBL (87). The Undertaker’s rating makes sense since he’s always been near the top of the card, including in 1991. JBL, however, was near the top of the card for the twilight of his career. So although it’s clear that 2K is rating him based on his years in the world title picture, it makes you wonder what exactly they based their ratings on for the majority of Legends who have just one version in the game. Which leads us to perhaps the most head-scratching rating blunder in the game: Andre the Giant at 80. Now, even if we acknowledge that Andre’s most impressive work was in the WWWF (yes, an extra W) and prior, and that most modern fans only remember the Andre who could barely move in the ring, 80 is shockingly low. I would exceed the word limit for this column if I listed all of the people who are rated higher. In fact, only three — THREE! — Legends are rated lower (Brian Pillman is tied). But here are some of the more egregious errors: Typhoon, Earthquake and Jim Neidhart are all rated higher (81) than Andre the Giant. The rest of the Legends, however, make sense. You could argue that Chris Jericho in 2001 (92) is rated a bit too high (not for lack of ability, but for poor booking). You could argue that Ric Flair (91) should be number one instead of just top 10. And you could argue that Daniel Bryan’s run at the top was too short to justify him being rated the same as Shawn Michaels (89) and higher than Sting (87). But that would just be nitpicking. And, really, that’s what these examples were. Because while it’s fun to debate with each other over whose favorite wrestler should be rated higher, and although there are a few head scratchers on this list, WWE 2K17 largely gets it right. The women’s division feels solid as well. Legends Alundra Blayze, Lita, and Trish Stratus each share the highest rating in the game (87), with current superstars Sasha Banks, Charlotte and Bayley just a notch below (86). The rest of the list makes a lot of sense, and if there’s one criticism you can make, it’s that there isn’t as much disparity among the women as there is among the men. But, to be fair, there are far more male wrestlers in the game than there are female wrestlers. What about you guys? Do you think the ratings in WWE 2K17 are accurate for the most part? Or do you notice some big errors? Let us know in the comments!